You’ve just bought a lovely new computer or maybe a new printer or smartphone; now what do you do with the old one? You could give it to a relative or friend, but what if you don’t have anyone to give it to? In 2011 Australians bought 2.4 million new computers. 1.6 million old computers were sent to landfill; and do you know what’s going to happen to them? As they break down over time, dangerous toxins will leach into the groundwater, contaminating soil, waterways and eventually, our children. What toxins are we talking about? An old cathode ray tube (CRT) monitor contains more than two kilograms of lead – and children are particularly susceptible to the effects of lead poisoning. A computer contains mercury, phosphor, barium, cadmium, hexavalent chromium, beryllium and bromated flame retardants. The electronic components within the computer are made up of copper, iron, silicon, nickel and gold. They are valuable raw materials, which are lost when computers are dumped into landfill. So, dumping that old computer is not such a good idea. Last year 800,000 old computers were put into storage – to join the 5.3 million already stacked away in garages and spare rooms all over Australia. What’s going to happen to all those computers? Most likely they’ll end up in landfill, too. 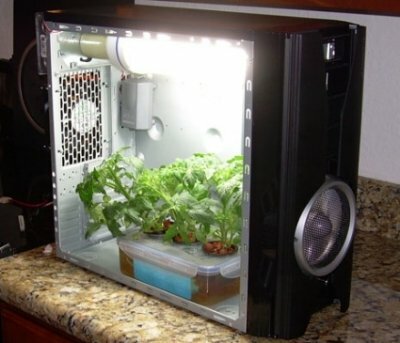 What are your options if you have an old computer or other hardware that either doesn’t work or you no longer want, and you want to be environmentally responsible? In May this year the National Television and Computer Recycling Scheme was launched. It is a computer and TV industry funded scheme working in conjunction with the federal and state governments. The idea behind the scheme is that any company that makes or imports TVs and computers into Australia will be responsible for the recycling of their products when they have reached the end of their life. 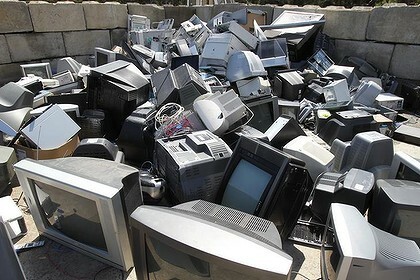 Free collection points for used TVs and computers will be set up around the country over the next five years. Once collected, the products will be recycled. It will be the responsibility of the owner of the products to deliver them to the collection points. What can you do with your old hardware before this scheme starts? Most local councils are no longer collecting ewaste in their garbage collections, but they do offer some alternatives. They may have an e-waste collection event during the year, or, if you live near your local tip or recycling centre you may be able to deliver your old hardware there for recycling. Check with your local council for what’s available in your area. The MobileMuster program is the easy way to recycle old mobile phones, their batteries and accessories. Whenever you buy a new phone you’ll find a MobileMuster bag in the box, or you can collect a bag from any Australia Post shop. You can also drop your old phone at a MobileMuster collection point – find them here. Old batteries of any type can be taken to Battery World stores, or household batteries to Ikea stores, for recycling. There are companies all over Australia who specialise in disassembling old hardware, reclaiming the precious metals and keeping almost all (up to 98%) of the machine out of landfill. Steel casings are recycled as scrap metal; the precious metals from circuit boards and the copper from cables are recovered; plastics can be remanufactured into fence posts and pallets. There is usually a charge for their service – for example, around $5 for a computer, .50c for a keyboard, $7 to $12 for an LCD monitor, and $2.20 for a modem. Items can be taken to the company, or they can collect them from you. Some of these recycling companies also use some parts to refurbish hardware to be used again. They are then able to resell the refurbished products at drastically reduced prices to the disadvantaged who would normally not be able to afford them. If you’d rather see your old computer given a new life GiveNow.com.au lists the companies all over Australia who accept computers as donations for the disadvantaged, disabled and community groups. Before you get rid of your old computer you must make sure that all data is removed, so that none of your personal information can get into someone elses hands. I wrote about it here. The last option is don’t get rid of it – give your old computer or phone a new life as something else…. Your old phone doesn’t need a SIM card, an account, or wi-fi access to be used as a clock. Just plug it in. Change your home screen to a large clock, and then update your display settings to never turn off or sleep. Your phone can easily be used as an alarm too. Turn your old phone into a dedicated e-reader. There are plenty of places to get free eBooks (the subject of a blog post in the next few weeks). Download a bunch of books, and read away. Or, use an e-reader app to purchase and download books, before you stop using the phone. If your old smart phone has a SIM card or other memory card, why not load it up with MP3’s and make it a dedicated MP3 player? You could plug it into the car, or use it while exercising, or cleaning the house. There are apps that allow you to turn your old smartphone into a remote for your TV, Foxtel, and Telstra T-Box. Use your old phone as a webcam or remote camera. As long as your phone has a camera and can download apps, you can use your phone as a webcam or remote camera - keep an eye on the house while you’re out or see what your dog gets up to while you’re at work. Check the app store to see what webcam apps are available for your phone. Use your old computer as a second hard drive and store your photos on it. Set it to run a slide show and you’ve got a larger than usual digital photo frame. Use your old computer as a spare TV for watching DVDs, or to listen to CDs. If it’s a laptop use it to keep the kids happy if you don’t have DVD screens in the car. 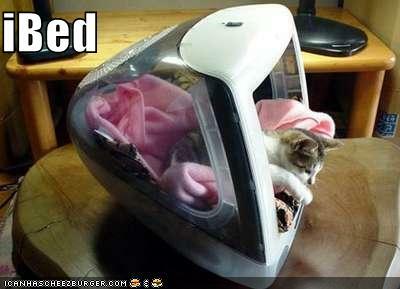 Have you got any other ideas of what you could do with your old technology?